Fredric Stahl, a handsome American movie star of Austrian descent is sent by his California studio to Paris to make a movie. The year is 1939, the eve of Germany’s occupation of Czechoslovakia, Poland, and ultimately France. Recognizing the opportunity to advance their political agenda, German spies target Stahl and ensnare him into promoting Nazi propaganda. 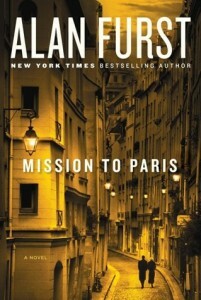 The American ambassador in Paris works Stahl as a double agent. 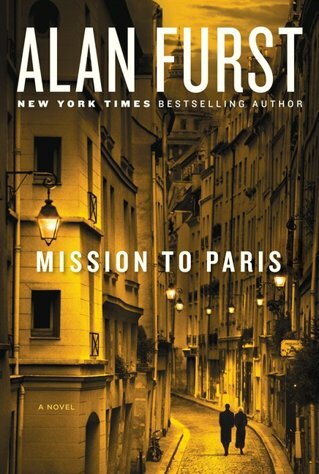 Much of the action takes place in a Paris deep with apprehension and the book provides a fascinating account of the dichotomous French views at the time: stand up to the Nazis, now and forever vs. a post World War I sentiment to avoid bloodshed and an almost certain whipping before German might. Bistro dinners, cocktail parties, smoky basement bars, even the damp winter chill of Paris in December are all on full display. Unfortunately, the book feels like a black and white movie of the era that we have seen before. The suspense and intrigue that should accompany this kind of book all feel two-dimensional rather than insightful or revelatory. A Jewish midwife in 16th Century Venice, by edict of the Pope, is forbidden from delivering a Christian baby setting up an ethical dilemma for the protagonist. A biography of cancer, winner of the Pulitzer and recommended by friends. A tall tale of the Old West. A pair of brothers, Charlie and Eli Sisters, with the self-importance of Keillor’s Dusty and Lefty and the banter of Tom and Ray (Car Talk) work as hired guns. Traveling on a pair of “found” horses, Tub and Nimble, from Oregon to the 1851 Gold Rush town of San Francisco they encounter a crying man and a lone Indian. They shoot people that bother them, ponder the nature of love, cope with crippled horses, endure back-country dentists, drink to excess, and sleep in the woods even when they are coping with painful hangovers. These are the kind of guys that use extra large words unnecessarily and refuse to engage in the use of verbal contractions. One of them misses his mother. 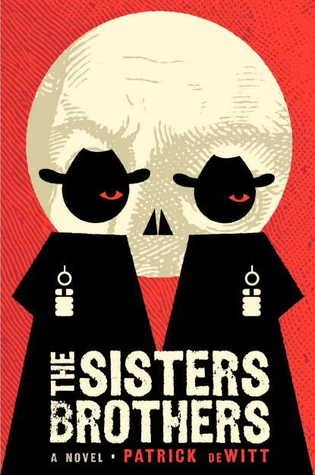 I listen to many recorded books and I found John Pruden’s reading of The Sisters Brothers to perfectly capture the personalities, era, and farce of this story. A young woman, Pamela Werner, is found brutally murdered on the wrong side of town. 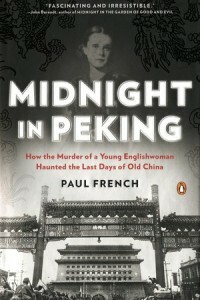 The town is Peking, her father is a former British diplomat, the Japanese are on the outskirts of the city, and World War II is imminent. British and Chinese detectives turn up nothing but rumors leaving Pamela’s distraught father to spend most of his remaining years searching out the truth and hounding the British embassy to end its cover-up and reopen its investigation. I suppose the story is compelling enough, but not quite so interesting to be worth a retelling. Unfortunately, thousands of young women are murdered and the author of this account doesn’t make this one feel important. Gruesome and heartbreaking, yes, but significant, not really.